Think peace, serenity, and a transformational fly fishing escape to the Alleghany Highlands of Virginia. That’s Escatawba Farms. Escatawba approached Frankl Creative to create a brand for their distinctive retreat that reflects their commitment to providing an unparalleled trout fishing experience for anglers of all aptitudes. 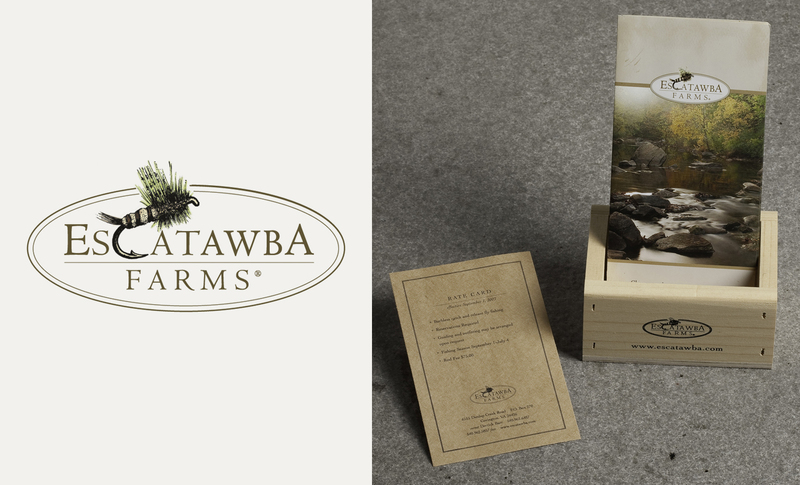 Liz designed a unique logo and striking marketing materials that highlight Escatawba’s picturesque land, freestone stream, spring-fed lake, abundant trout… and guide services and casting lessons. 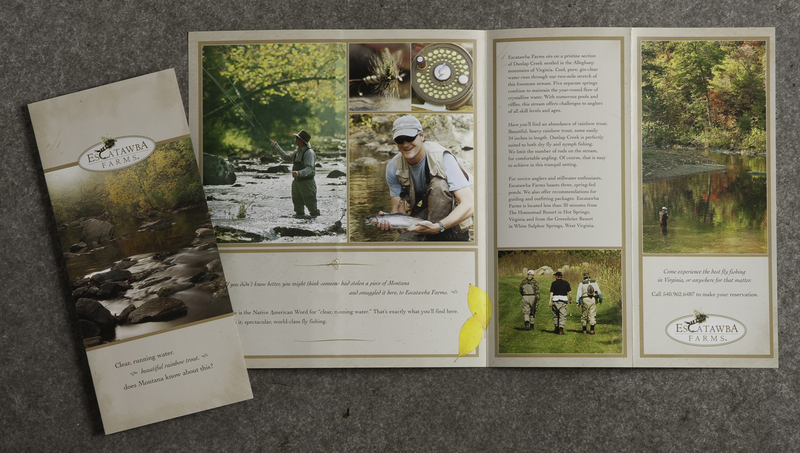 Frankl Creative helped Escatawba Farms grow their business into a well-recognized haven for fly fishing enthusiasts from around the world.